From superstar athletes, to politicians, to media moguls, and beyond… They all have coaches. This is one piece of your team that is vital…yet often overlooked. 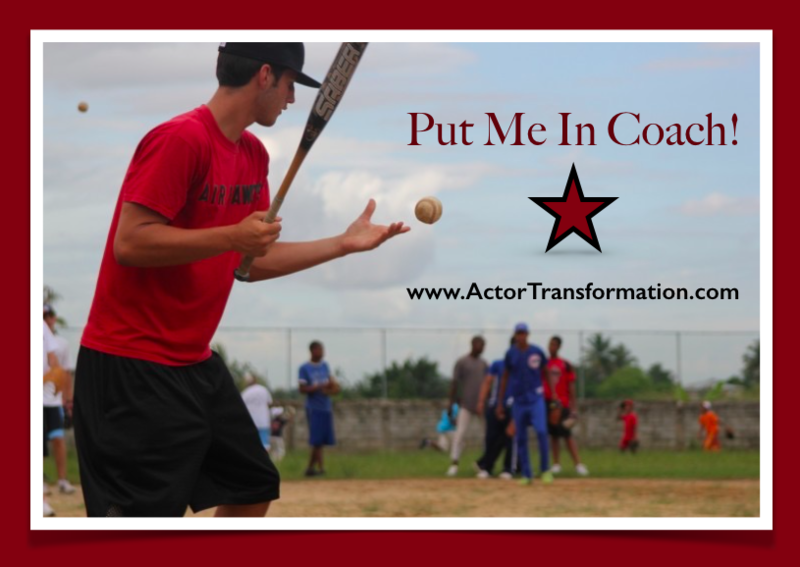 Actors might get coaching help on the craft side of things for an important audition yet where they might drop the ball is how they speak to the Casting Director or how they walk into the audition room, or how they follow up after the audition is over. There are no shortage of talented actors. In fact… In larger markets like LA & New York, talent it is absolutely expected. Yet very few actors take the time to truly gain the knowledge and business skills needed to actually have a real career as a working actor. Remember that you can be the best actor in the world but if nobody knows that you exist, they cannot hire you. Plain and simple. That’s where a business coach comes in. Even though your career is up to you, you will need other people along the way to help you. You don’t have time to make all the mistakes that all the other actors are making. Instead of wasting years and years doing outdated marketing techniques or “playing it small” in your career, a career coach can help you catapult your career forward with a few well-chosen actions. Most actors’ number one source of actor information is from their fellow actors. This can be a great resource but you should take a step back and just consider the source. Everyone has something to contribute but if you are listening to an actor who is negative or doesn’t book work a lot, it might not be your best choice. Consult with an expert as well. And above and beyond the questions that you have, a coach can help you with the actions and strategies that you never even knew existed. When I meet with an intermediate or advanced actor for the first time, one of the most common concerns that first comes up is that the actor believes they have done it all already. Might look something like “I tried such and such but it didn’t work, therefore it can’t work”, or “I know that” or “my agent doesn’t get me out” and so on…. It becomes a gigantic source of relief to the actors when they get a bunch of new strategies they never though of before, new tools that they never used before, and a whole new batch of inspiration, accountability, and motivation! Exciting stuff! This industry moves fast fast fast and you need to have people on your team that know what is going on, and keep up-to-date. Remember that to hit a home run, you have to be in the game!